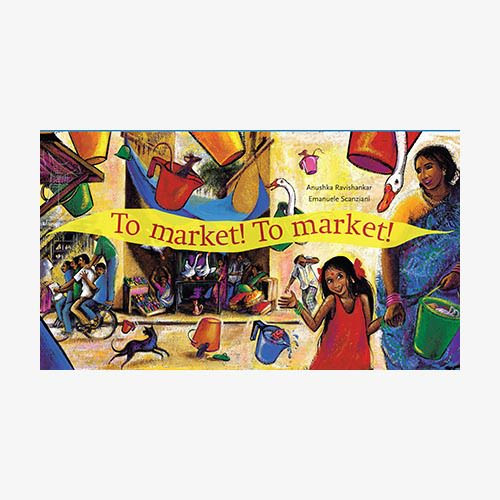 A little girl goes to market with a pocketful of change–and no idea what to buy from all the happy chaos around her. But among the rich and colorful wonders of the market, she finds that the real fun is not in the buying after all! Anushka Ravishankar’s comic verse and Emanuele Scanziani’s vibrant paintings pay a bold and busy tribute to the vitality of everyday India.